In general, honeybees are gentle creatures who rarely sting unless provoked or feel their hive or queen are under attack. Still, can you get stung through a bee suit? The short answer is yes. But wearing a bee suit, does however, greatly lessen the chances of getting stung. To protect against getting stung, beekeepers wear bee suits. There are many different suits on the market from simple jackets to full body suits. None of them are completely effective. A determined bee can sting through the material of a bee suit or find the one, small opening the beekeeper neglected to close before approaching the hive. Always remember to check for any bees clinging to your suit before you take it off after leaving the hives. Not doing so could anger those bees who hitched a ride and cause them to sting you as you remove the suit. What are the parts of a bee suit? A typical, full body bee suit is a single garment ususually made out of heavy white cotton canvas or several layers of bee-proof mesh netting. It has long sleeves with elastic at the ends to close around your wrists and long legs with elastic to close around your ankles. Some bee suits also have a special head protection “hood” with a mesh face mask. 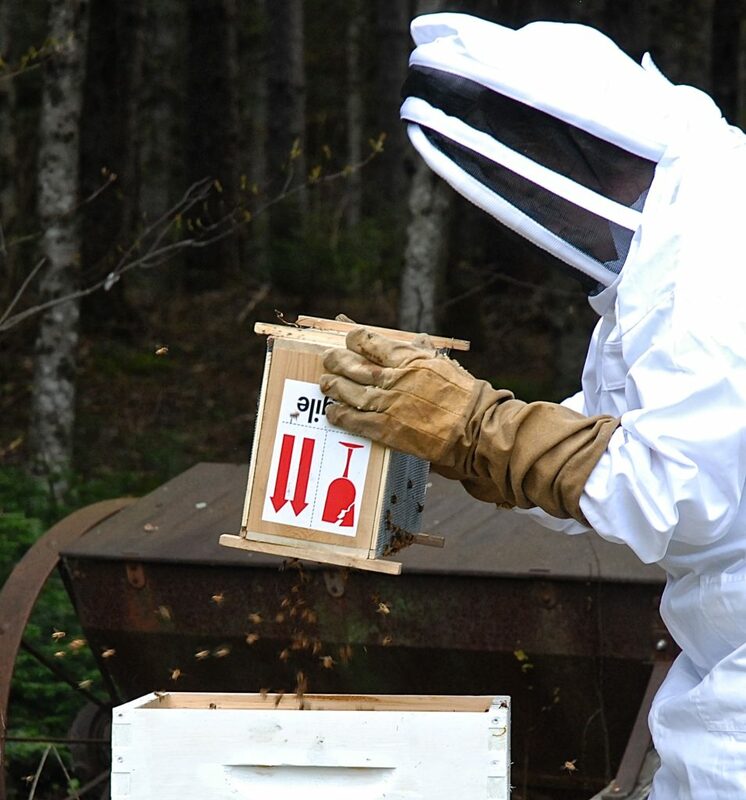 When combined with heavy beekeepers’ gloves, a full bee suit offers some of the best protection there is against getting stung. To better your odds against getting stung, always work slowly and calmly around your bees and pay attention to their behavior. If they begin to circle around your or their buzzing increases in volume and pitch, they are getting irritated and your odds of getting stung — bee suit or not — have just increased. Walk away, let them calm down and return when they are in a better mood. And don’t forget your bee suit.